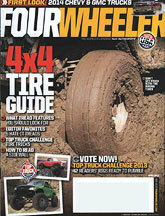 Get a free subscription to Four Wheeler from FreeBizMag. Complete the information and choose the magazine. Answer the survey questions to qualify for the selection. Log in to receive a free 12-issue subscription. no free xbox360 subscriptions! please rectify this awesome site!! i have noticed that there are no xbox free subscriptions in the list of free stuff as supplied by yourselves, as a keen gamer on the xbox360 I often wonder why this is so? please understand that although it may be a silly request to yourselves it is a massive dissappointment to me..